Definition: A poster is any piece of printed paper designed to be attached to a wall or vertical surface. Typically posters include both textual and graphic elements, although a poster may be either wholly graphical or wholly text. Posters are designed to be both eye-catching and informative. Posters may be used for many purposes. The Michael O’Connor Poster Collection has numerous design styles and are from European countries such as France, Belgium, Germany, Poland, Spain, Slovakia amongst other countries as well as significant representations of American posters from the 1970’s and 1980’s. The poster in its day was a very important tool in promoting and advertising events. It crossed all boundaries and boarders. The collections has numerous designers and printers, among them are designs by two prominent German designers, Matthies Holger (1940) and Hans Hillman (1925). The Poster Collection was donated to Limerick City Gallery of Art (LCGA) in the late 1980’s by Michael O’Connor. The collection comprises 2800 individual posters, and is characterised by a considerable variety of styles and content. 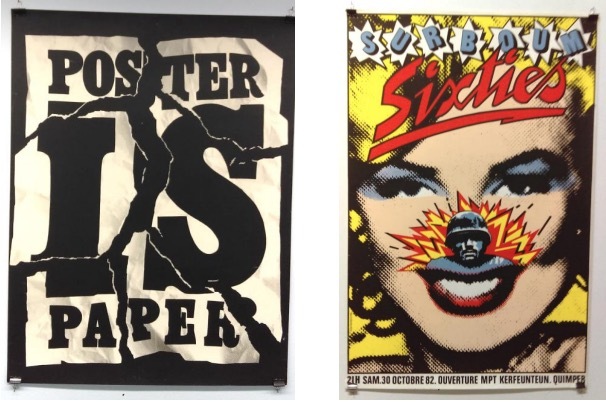 O’Connor had an evident interest in collecting poster with a particular cultural theme or message and collected from the early 1970’s up to the mid 1980’s. In its entirety this collection is eclectic and remarkable, proclaiming the scope and potential of ‘the poster’ as a visual medium. Michael O’Connor was born in Listowel, Co. Kerry where he lived throughout his life. O’Connor made his own posters & prints to advertise local events in Listowel and a selection of these prints are included in the Poster Collection. Michael O’Connor died in September 2010. LCGA is indebted to Michael O’Connor for his generous gift which forms part of the Permanent Collections.